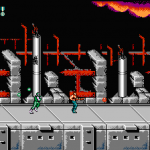 From NES classics to DOS Disasters! While most of the world was captivated by the NES, some developers still, for some reason, felt the need to port NES games to the PC. I am without a doubt completely ignorant when it comes to the whole politics of how or why NES games ended up on the PC, so I won’t be covering anything in that respect. 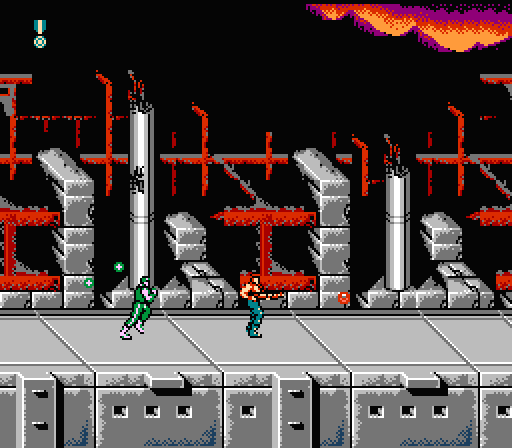 I will however show you how morbidly mangled some classic NES games were during the port. 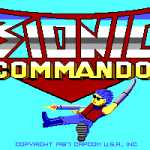 MegaMan, Bionic Commando and Super C are just a few titles, that I’m aware of, that were totally and completely destroyed in the transmission over to PC. 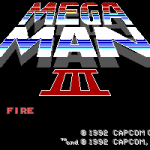 When it comes down to it, I don’t think we can blame the same companies we respected for giving us these games on the NES, other than allowing another company to tear it to shreds for the PC. 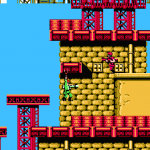 So prepare yourself to see some of the classic NES games as you may have never seen them before! 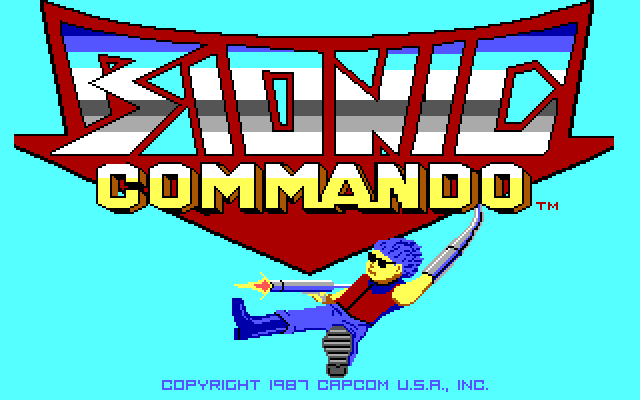 Bionic Commando is a game that I took right to, when I found it for the NES a year or so ago, so I figured the PC version would be much better. Not only was I wrong, I was completely wrong! 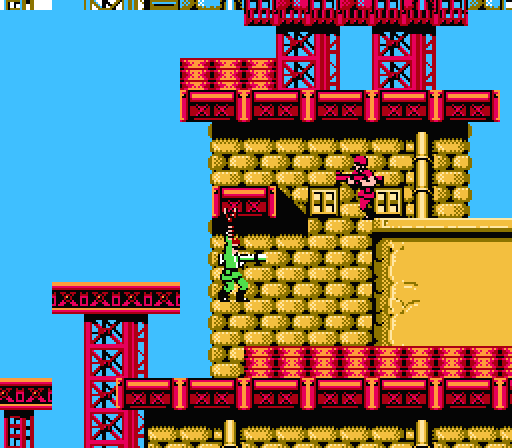 The graphics, although I imagine the PC has a much bigger color palette, are so much worse than the NES that they’re laughably ugly. Not only is it ugly, I was completely lost when it came to key functions. The NES has a simple A, B and D-pad to worry about, and being familiar with NES emulation I can easy map those keys to my preference, but when it comes to a DOS game it seems they made the commands so cryptic it rendered the game unplayable for the first 10 minutes. After looking up the key commands I quickly realized that I wished I hadn’t. Even though I now knew the commands, the game play was still so horrendous that I quickly removed all traces of the game. It didn’t follow the NES game at all, and in general it just wasn’t easy to start nor was it good enough to keep me hooked. Yeah, what the hell is this!? 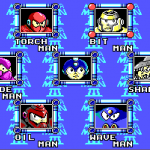 Megaman is another such title that earns itself a place in this article of shame. The series is among the most treasured of the NES franchises, with a total of 6 games on the NES and expanding over into the SNES generation. 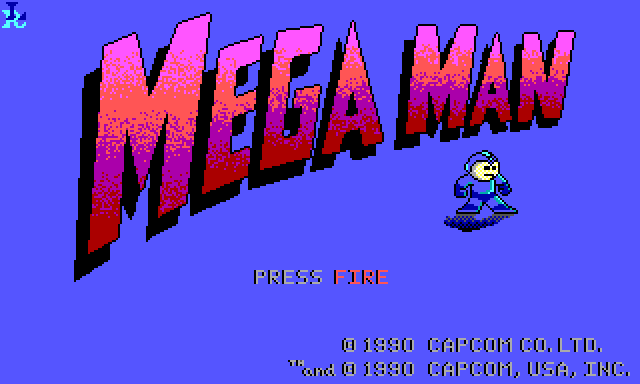 But with such a strong franchise on the NES, why would Capcom have ported or allowed anyone to port it to the PC? 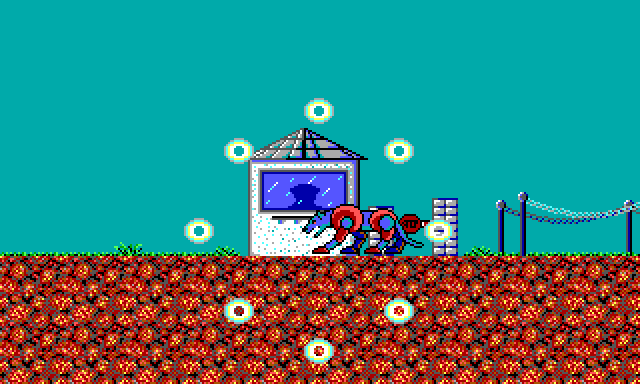 Again the graphics are ugly, rendering Megaman into more of a blue dough-boy who downs E cans with swiftness, abusing their effects, instead of using them when he truly needs them. I have to be completely honest and say that I didn’t play this one for more than 5 minutes total, and a few extra for this article. The simple fact is that although the controls are super simple and intuitive, there is no level selection and the first level it starts you in is impossible. You start off at what seems to be a border checkpoint, perhaps USA/Canadian border for all I know, where you run head first into a bionic cat. 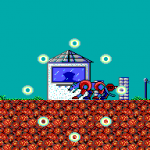 No matter how much you fire at this cat you simply can not kill it, and to make matters worse if you try to run away the cat pounces right on Megaman, quickly draining his energy without even a hope of a chance of survival. Needless to say, I gave up on this pile of trash. 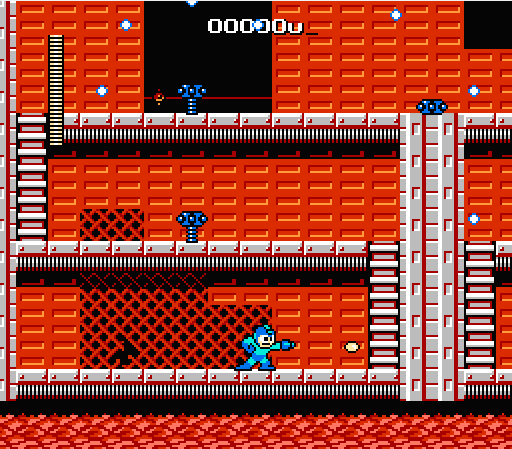 Mega Man 3 doesn’t look too bad, this gives me hope! 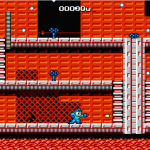 Megaman 3 takes us back to a more NES familiarity. 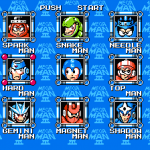 After the opening screens of the people who sadly take credit for porting this from the NES, you are actually presented with a level selection screen! 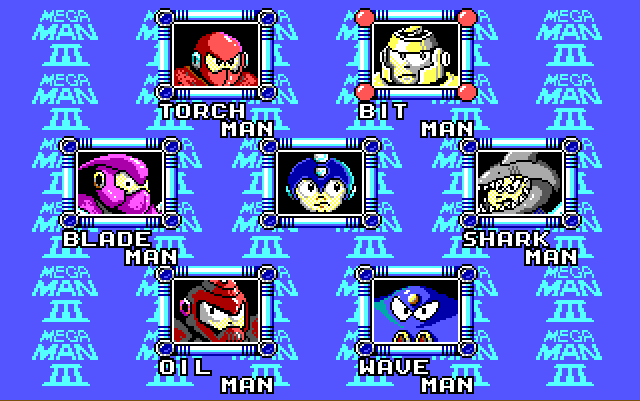 But you’ll notice Megaman seems to have been caught taking a dump for his picture in the center. 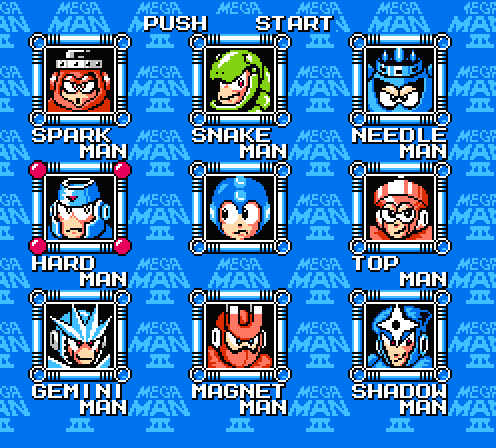 The bosses all look ok, given the port, but only one is actually from the NES version and they changed his name! 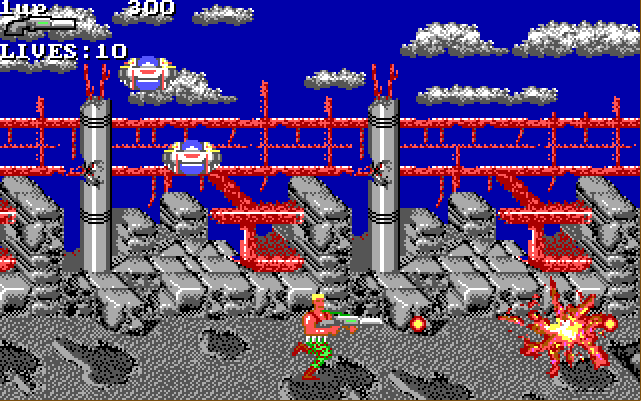 After selecting your choice of level you are presented with a more familiar, yet not completely, level filled with extremely hard to kill foes. If you can manage to keep yourself interested enough you will eventually reach the boss, something I never manages so I can not comment on how that goes. 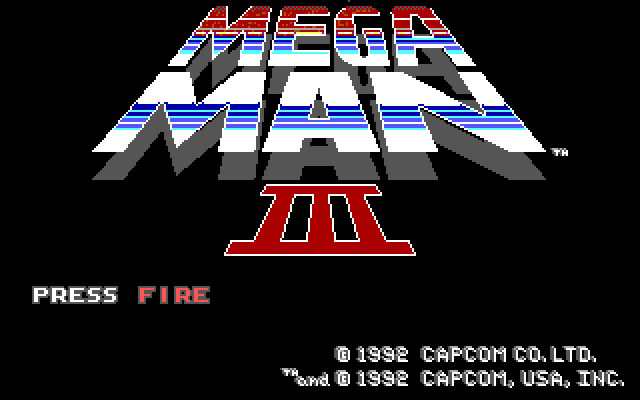 Overall the controls are the same as Megaman, easy to remember, the enemies are still way too difficult for the game and the overall feel is closer to the NES, yet still too far removed. Not a bad title, but whats behind this screen? 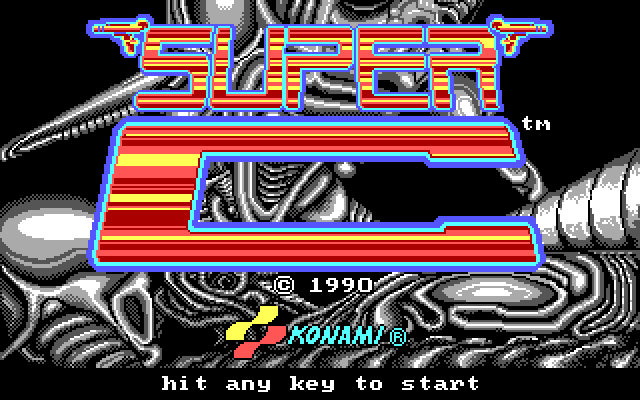 Super C takes this spot on the list because I could not find a working version of Contra, although I’ve read it exists. Again it took me 10-15 minutes to punch around aimlessly at my keyboard before finally realizing I wasn’t trying the numerical keypad, I mean who would right? 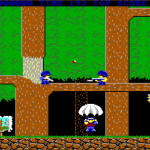 Quickly I took control of my character, and although the controls were functional, it was way too cramped to really manage to play the game to any functional capacity. 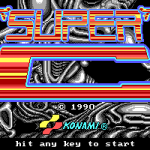 Graphically Super C really depends on your choice of settings, although now they’re obsolete, back then different systems required completely different settings. The game can look and sound great, but I never bothered to remember which settings I chose. I’m sure had I given this game more time and become more familiar with it’s controls I would have thoroughly enjoyed it, but as-is it was the most enjoyable port in this list. All these games were horrifyingly mangled, to be truly honest all of the games seemed more like a Chinese clones of their original titled counterparts. 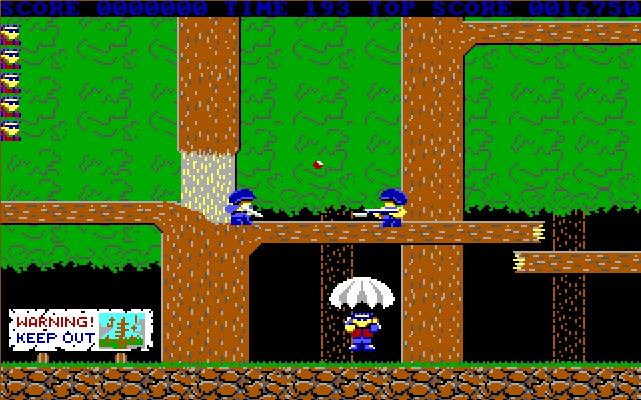 I was never really exposed to many DOS games when I first got a computer, but I have since gone back and enjoyed quite a few DOS games, so I may be missing some knowledge that diehard DOS gamers would know to make these games more fun. 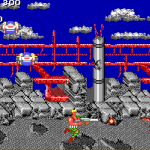 But when it comes to the ports of NES games to the DOS platform I had preconceived standards in my head because these were games I already enjoyed on the NES. It may only be my stubborn ways of being stuck in my comfort zone of 2 action buttons and a D-pad, that the NES gave me, or it may well be that these games truly stink. Regardless of my standards I still believe these games are all overly complicated, even more so than Nintendo Hard. 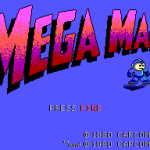 The graphics are poor, the games are almost impossible without spending countless hours planning your every button mash and overall these games just lack in appeal. I’m sorry DOS, but I will stick with my NES, thank you very much!